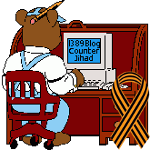 voting with our feet — 1389 Blog - Counterjihad! What is this, the USSR? Two US senators want to punish former American citizens for leaving!